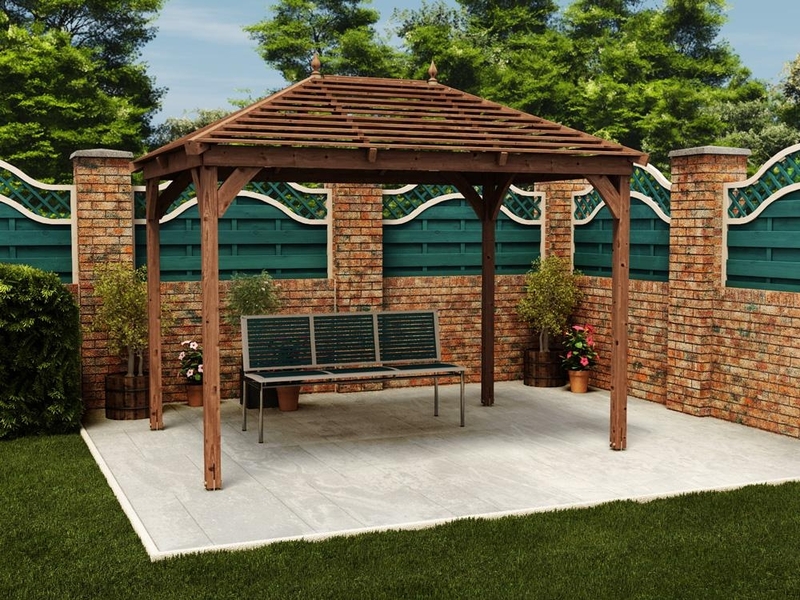 The stylish Camira 300 Venetian Pavilion Gazebo will add real character to your garden and act as the perfect focal point. 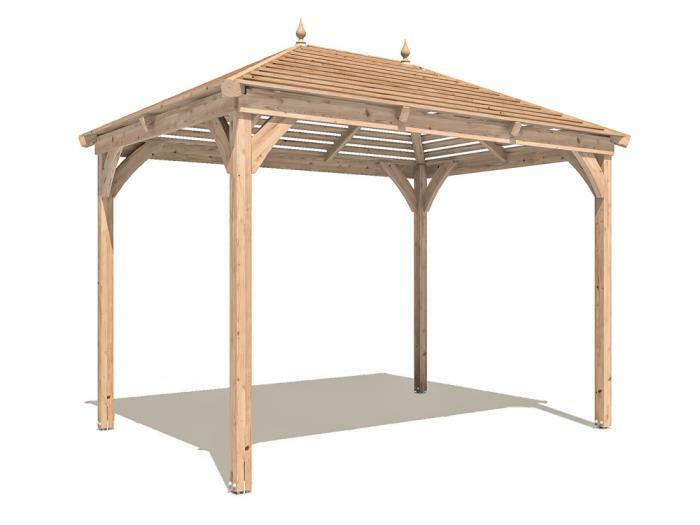 The Gazebo sits of sturdy 86mm x 86mm timber posts and is supported by hot dipped galvanized steel fixings for the bottom of each post to fix the gazebo to your base, ensuring a strong and robust structure. We guarantee these plates for 10 years against structural failure caused by rust as well as our 10 year guarantee on our pressure treated timber.